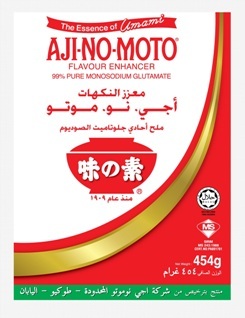 Aji - no-moto is a world renowned brand for MSG. It makes food taste better with a little dash added before, during or after cooking which brings out the flavor of any dishes. It is widely used by housewives, hawkers and professional restaurants chefs all over the world to enhance the taste of dishes.